a hypersensitivity pneumonitis characterized by fever and dyspnea, caused by inhalation of organic dust from moldy hay containing spores of thermophilic actinomycetes such as Micromonospora vulgaris, M. faeni, and Thermopolyspora polyspora, which thrive in the elevated temperatures of hay lofts and silos; repeated exposure may result in alveolar sensitization and, ultimately, granulomatous lung disease with severe disability. An occupational disease affecting the lungs, marked by chronic shortness of breath caused by an allergic reaction to fungal spores in moldy hay dust that has been inhaled. an allergy-related respiratory disorder caused by the inhalation of actinomycetes or other microbes in dusts from moldy crops. It is a form of hypersensitivity pneumonitis that affects individuals in whom antibodies to the mold spores have developed. It exists in acute, subacute, and chronic forms. It is characterized by coughing, dyspnea, cyanosis, tachycardia, nausea, chills, and fever. Lengthy exposure to dust from moldy crops can lead to permanent lung damage, physical disability, and in some cases death. There is no cure; once a hypersensitivity develops, it persists for years and possibly the entire life-span of the individual. Treatment may include cromolyn sodium and a corticosteroid. Farm worker's lung Immunology An IgG1-mediated form of extrinsic allergic alveolitis or hypersensitivity pneumonitis that occurs in non-atopic individuals, who after repeated exposure to organic dust and fungi–eg, Aspergillus spp, become allergic to thermophilic actinomycotic organisms; 90% of Pts have antibodies to moldy hay, an ideal growth medium for the fungi–Microspora vulgaris, Thermoactinomyces vulgaris, and Micropolyspora faeni—implicated in FL Clinical Attacks of several days duration from May to October–the growing season in the Northern Hemisphere, causing rales, cyanosis, fever, dry cough, rhonchi, dyspnea, beginning 4-8 hrs after exposure to stored corn, barley, and tobacco; with time, weight loss Pulmonary function tests ↓ Functional lung volumes, impaired gas exchange Radiology Normal or diffuse interstitial reticular pattern, occasionally with fine nodular shadows Treatment Corticosteroids Complications Pulmonary HTN, right ventricular hypertrophy, failure. See Faeni rectivirgula. Cf Animal House fever, Silo filler's lung. A hypersensitivity pneumonitis characterized by fever and dyspnea, caused by inhalation of organic dust from moldy hay containing spores of actinomycetes and certain true fungi, which may thrive in the elevated temperatures of hay lofts and silos. An allergic occupational lung disease caused by the repeated inhalation of dust containing the spores of fungus from mouldy straw, hay, grain or mushroom compost. There are acute attacks of fever, nausea, breathlessness and cough a few hours after exposure. Repeated attacks lead to serious lung scarring (fibrosis) and interference with oxygen transfer to the blood (respiratory failure). 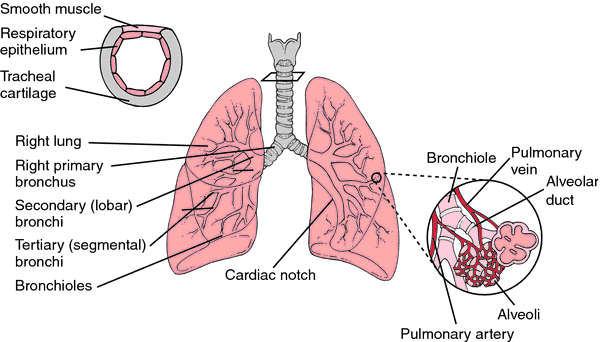 a human disease in which lesions of minor blood vessels develop in the lungs. The disease is produced as a result of an IMMUNE RESPONSE to the presence of fungal spores in hay Similar symptoms have been recorded in workers in other occupations, such as malt workers, pigeon breeders, cheese washers. An allergic reaction to moldy hay, most often seen in farmers, that results in lung disease. Hypersensitivity pneumonitis characterized by fever and dyspnea, caused by inhalation of organic dust from moldy hay containing spores of thermophilic actinomycetes such as Micromonospora vulgaris, M. faeni, and Thermopolyspora polyspora, which thrive in the elevated temperatures of hay lofts and silos. a subacute, immediate immune complex, hypersensitivity pneumonitis of humans caused by inhalation of dust from moldy hay, particularly the organism Micropolyspora faeni. The disease has some similarity to atypical interstitial pneumonia in cattle. See also bird-fancier's lung.